Check out Folded & Hung's Grand Opening Promo at SM City Sta. Mesa. 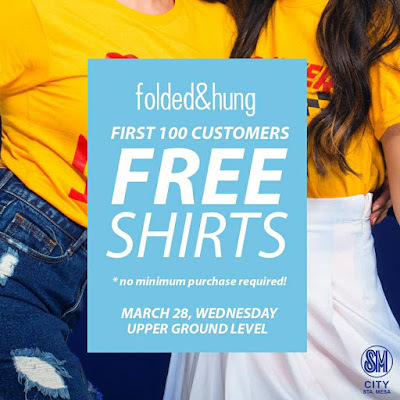 Get FREE shirts for the first 100 customers at Folded & Hung Upper Ground Level of SM City Sta Mesa. No minimum purchase required.